New to the Paal range of quality kit homes, the Yarra is a modern contemporary design three bedroom home for the country or the suburbs. Design features include a multi function studio/guest room, spacious bedrooms, an innovative kitchen.... the hub of the family living area with access to an alfresco/carport, an area that can be converted to a double garage. 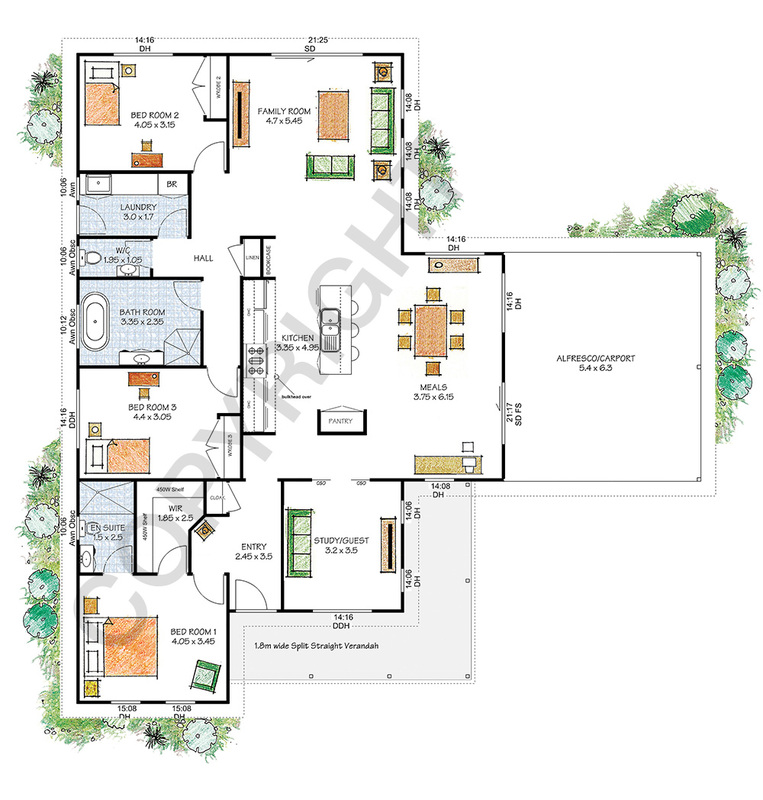 The Yarra floor plan is flexible and can be adapted to suit a narrow block. Paal steel frame kit homes are specifically designed for the owner builder/owner manager.....we make it easy to build.